If you thought the PS4 and Xbox One's launch prices were expensive, well, they kinda were! 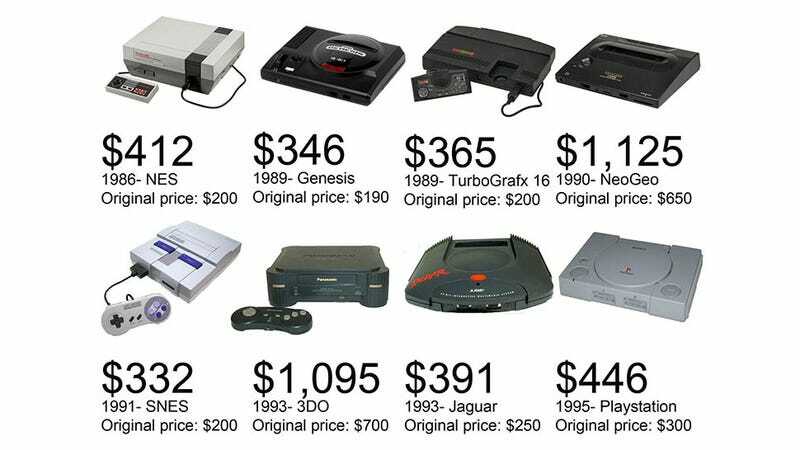 But not as expensive as the NES. Or Neo Geo. Or Saturn, Or PlayStation, or Atari 2600. You'll notice the PS4 and Xbox One aren't too bad, especially compared to their immediate predecessors. You'll also see why it was so hard finding a kid who ever owned a Neo Geo or 3DO. Holy crap.